To see the full legal version, click here. 1. You need to be 16 or older to enter. 2. If you win, you let us put your photo and your song on the website and mention your name and song in press releases, on Twitter and in other promotional channels. 3. You retain 100% of all rights to your song. We cannot sell it, nor let people download it from the site. 4. You swear that your song was not stolen from another songwriter nor was any of it sampled from another song, and if it turns out that it was, that SongDoor bears no responsibility for it. 5. SongDoor isn't responsible for website down-time, outages, etc. 6. Except for #4, neither you nor SongDoor will be blamed for any incidental outcomes relating to this agreement. 7. 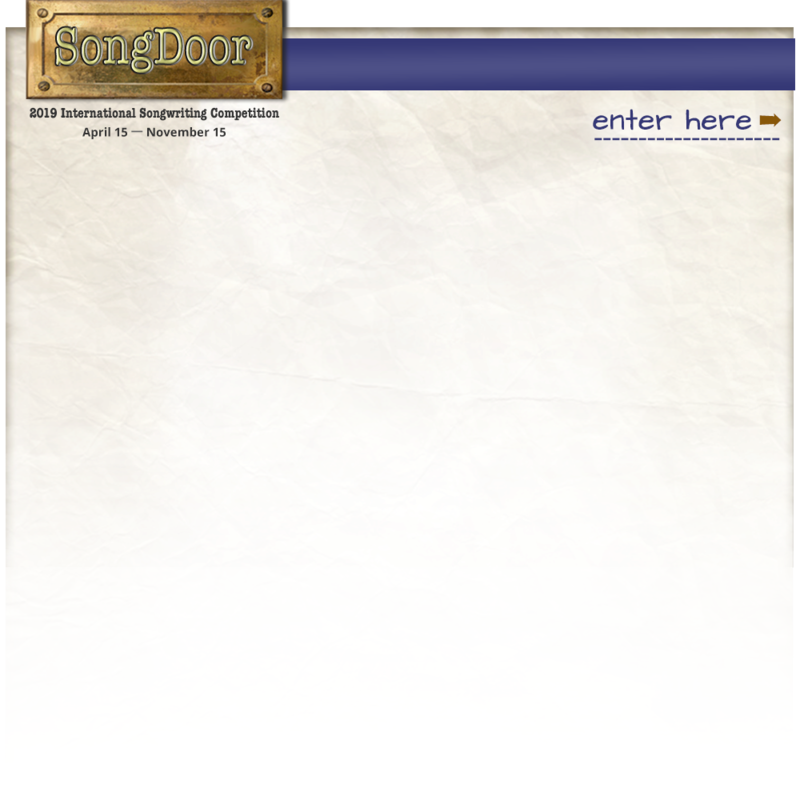 If you don't like these terms, you can email info@songdoor.com and tell us so. Once you do that, all of our license rights terminate except #4 and #6. 8. All of this pertains to the laws of Virginia.